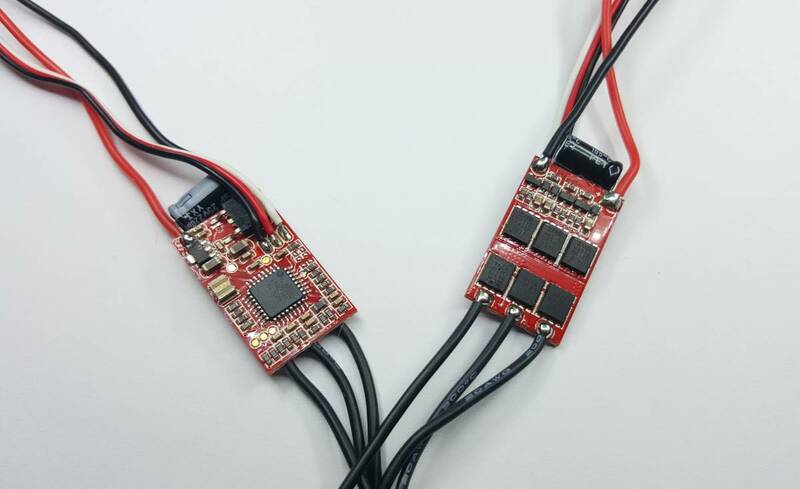 15 Amp RapidESC is the bigger brother to the the industry standard (F-12 Fire Red) for the go -to ESC for any mini Quad. The F-15A ESC's have been tested to the tee, up-to 22amps all day long when used with a 2208-1800kv, 6x4.5 hq prop, showing an impressive 950 grams of thrust. A little thicker than the standard F-12 Fire Red and a heat sink is needed (included) but it will give one ample headroom when running 4S. Super-fast throttle response, which makes your quad fly the most "locked in" feel possible. Best bang for your buck on the planet. Every ESC here is sold pre-calibrated on the throttle range so all ESC's start and reach full throttle at the exact same time. **Currently we are flashing them with SimonK 5-15-13 firmware to be the most compatible with high kv motors. 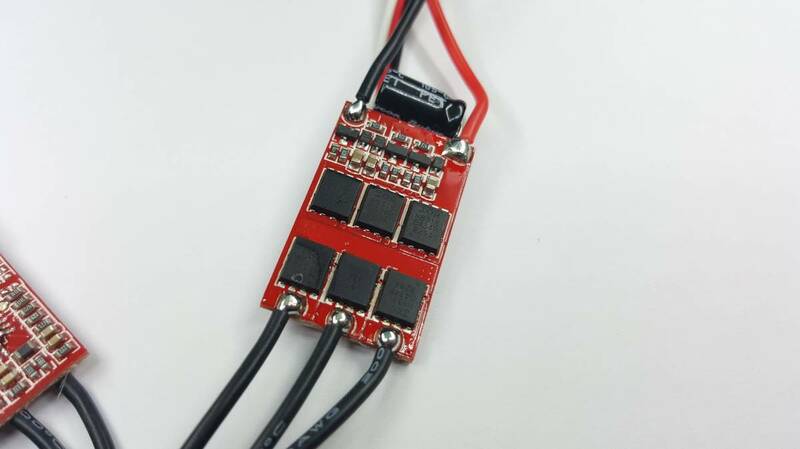 These ESCs will give your multi rotor quicker reflexes, less drift, and smoother flights. These are so fast, compared to standard ESCs you can double your PI gains! 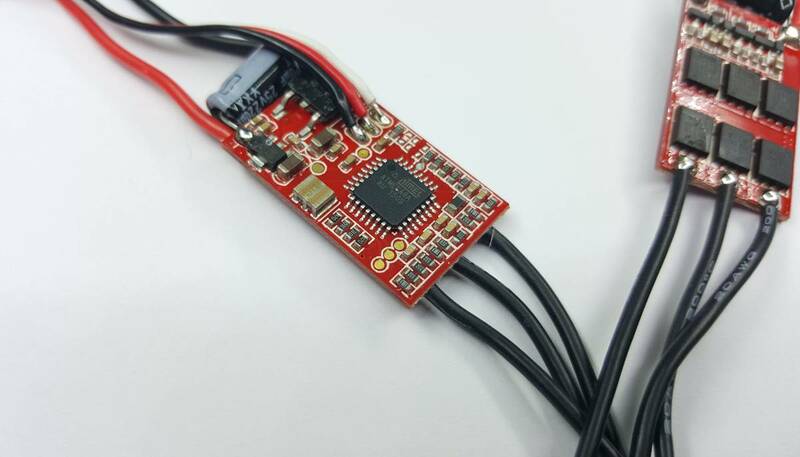 These ESCs are flashed with the famous SimonK firmware. Future software updates can be performed through the servo cable eliminating the need for complicated flashing jigs.